Your exact location is automatically pulled from you mobile device every ten minutes. 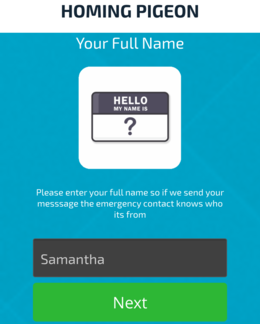 We ask that you write a custom message to send to your emergency contact explaining your potential situation. We ask that you specify a password for the app so only you can disable the message from being sent. Select which version you would like to download today!